There are three factors that can create hydraulic hose failure. Hydraulic excavators need their hydraulic hoses working properly. If there's a cut, break or hole in one of them, the digger is done. Hydraulic hoses do not last forever; eventually they break down and need to be patched or replaced. But here are a few tips to help extend hose life and keep hydraulic excavators operating longer and more efficiently. There are three factors that can create hydraulic hose failure: (1) external damage, (2) wear and tear from hours of use, and (3) corrupted oil in the hydraulic system. Hydraulic hoses on excavators are exposed. They can be struck, severed or crushed by outside objects, such as sharp pieces of metal, concrete or rebar. 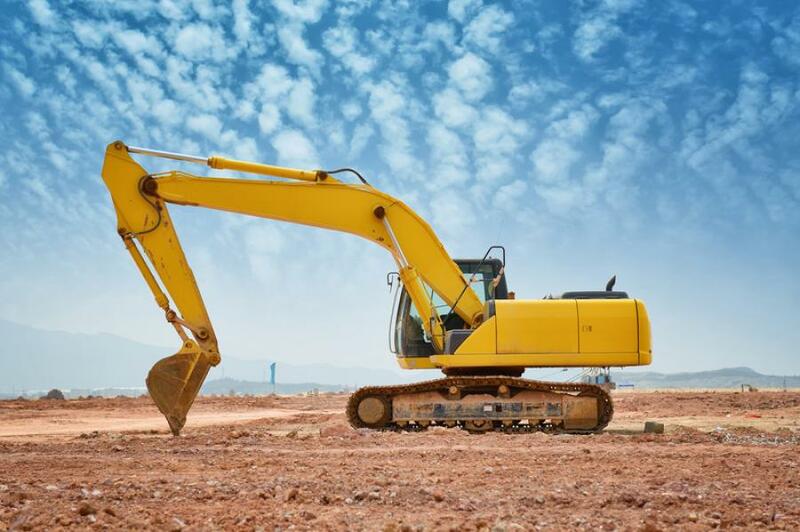 Excavators working in hostile environments such as building demolition, scrap yards and harsh rough excavation job sites are at greater risk of sustaining damage. Most hydraulic excavators work outdoors where normal wear and tear means operating in all kinds of weather. Even while waiting out extreme weather, hydraulic hoses can be exposed to rain, hail, ice and snow. Even hours of ultraviolet light can cause a hose's outer, protective cover to become hard, start to crack and fall away. The steel-wire reinforcement can be exposed where it will eventually rust and contribute to hose failure. During regular maintenance of a hydraulic excavator, it is key to examine all clamps and brackets and replace them when necessary. The cost of a new clamp or bracket is nothing in comparison to the rest of the power system. Replace rather than regret. Leaving the hose assembly free to rub against parts of the equipment can cause wear and tear. When damage is detected, replace these hoses and consider adding a protective textile or a metal sleeve to protect the hose assembly—especially if it appears to be in a vulnerable or troublesome area. Look for hoses that are rubbing in their clamps, dampness behind the ferrule, rust or oxidization of the fittings, cracked or missing covers and exposed wire reinforcements. Regular maintenance can help the service technician if the hydraulic excavator operator performs a thorough inspection of the machine before each use. There are inspection forms available from the manufacturer, online, or they can be created to cover all perspectives — from the ground, from the cab and looking in the engine compartment. Plus, as preventive maintenance, it is helpful to perform a tune up and recalibration of the excavator's hydraulic system regularly, perform an analysis of the hydraulic pressure, measure engine manifold pressure, fuel pressure, high idle and stall RPM. Also make sure to test and adjust all pressures. The third cause of hydraulic hose failure is corrupted oil in the hydraulic system. Fluid contamination can occur when other parts of hydraulic systems start to break down. Fragments could enter the oil and may not be big enough to be captured by the filter units, but are still large enough to create abrasion of the inner liner. Even sometimes just opening the hydraulic system to simply refill the oil can allow matter in to contaminate the system. The key thing to remember is that hydraulic hoses will wear out. Remember a hydraulic hose's life is measured by a finite number of system cycles. Check, repair and replace a hydraulic excavators hoses…they are integral to the machine's performance.